Think “hearing aid” and your mind will probably conjure up an image of those bulky, beige contraptions of the past that whistle spontaneously. But hearing aid technology really has come on leaps and bounds over the years. Today’s digital hearing aids are state-of-the-art and, in keeping with overarching technology trends, they are far more discrete, cosmetically pleasing and intelligent. With everything happening online, why should hearing aids be left behind? The Oticon Opn is the world’s first internet-connected hearing aid, which can seamlessly connect to and control internet-enabled devices such as your mobile phone and TV. Opn also processes speech 50 times faster than its predecessors, to give you a natural listening experience even in noisy, crowded places. Starkey’s latest offering, Muse hearing aids, are made especially for music lovers. Muse’s high capacity processor gives exceptional sound quality and maintains optimum listening levels. It also enables improved hearing of speech in noisy environments and is built to last with its patented Surface NanoShield coating that repels moisture, dirt & debris. If your family complains about you turning up the volume of the television then HyperSound is the TV speaker you need. These unique speakers provide exceptional clarity and filter out unwanted background noise. They achieve this by projecting or ‘beaming’ the sound in a highly directional manner, directly to the ears of those who require assistance with hearing. While your family enjoys the TV programme at their listening level, HyperSound will help you hear better, whether you’re wearing hearing aids or not. Hearing aids run on batteries and, until now, the average hearing aid user would need to change their battery once a week. This can be a bit of a sticking point for some patients, particularly in cases of poor dexterity and vision. 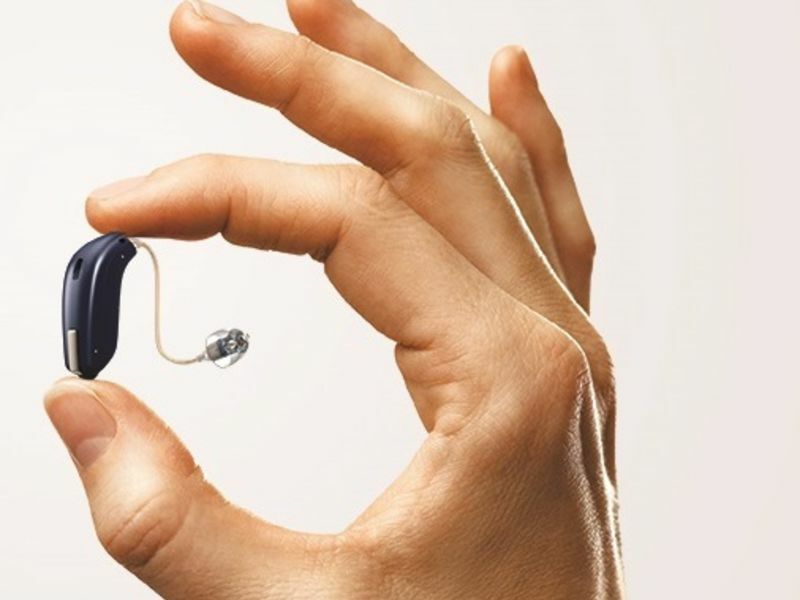 The new Audéo B-R from Phonak is the world’s first hearing aid to feature an in-built lithium-ion, rechargeable battery. On a single three-hour charge, Audéo B-R is capable of running for up to 24 hours, which is a significant improvement on other rechargeable hearing aids. This is a great time-saver, and is environmentally friendly too, saving around 100 batteries a year per hearing aid. It’s not just hearing aids that have improved – hearing tests have also progressed beyond basic audiograms. Tympanometry is a smart way of testing how efficiently energy passes through your eardrum and middle-ear. The test gives your audiologist a better insight into the health of your hearing system. The tympanogram provides your audiologist with a fuller picture to better understand your hearing loss and will allow them to recommend the most suitable hearing solutions based on your results. All this amazing technology, designed to make your life easier, is at your fingertips with Leightons. Our friendly, experienced audiologists can talk you through all the options available to you and you can even take a pair of the latest hearing aids home with you on a free two week trial. This will demonstrate the benefit that they can provide you with, in the situations that are important to you. So why not pop into your nearest store for a free hearing test or even just a chat? You can call us on 0800 40 20 20 or book an appointment online.